Apple to build NFC into the next generation iPhone’s touchscreen? 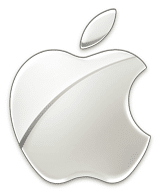 A patent application for a ‘Touch Screen RFID Tag Reader’, filed by Apple in December 2007, has been published on the US Patent & Trademark Office website. The question of whether Apple has plans to build NFC into a future iPhone looks to have been answered this week with the publication on the US Patent & Trademark Office website of a patent application for what is described as a ‘touch screen RFID tag reader’. The efficient incorporation of RFID circuitry within touch sensor panel circuitry is disclosed. The RFID antenna can be placed in the touch sensor panel, such that the touch sensor panel can now additionally function as an RFID transponder. No separate space-consuming RFID antenna is necessary. Loops (single or multiple) forming the loop antenna of the RFID circuit (for either reader or tag applications) can be formed from metal on the same layer as metal traces formed in the borders of a substrate. Forming loops from metal on the same layer as the metal traces are advantageous in that the loops can be formed during the same processing step as the metal traces, without requiring a separate metal layer. The full patent application is available to view on the US Patent & Trademark Office website. Current version of iPhones are Bluetooth enabled and thus compatible with BlueNFC. This isn't the only patent that Apple filed on NFC recently. However, this is no indication of development or launch timing. Apple trails Samsung and Nokia in NFC deployment, handset sales and outside of the US, data traffic.